One of the rules states all tags must be clearly visible and not hidden. This isn’t a problem for Mark Hill. His luggage tag, featuring a large No. 45 on it, is promptly displayed on the side of his bag. 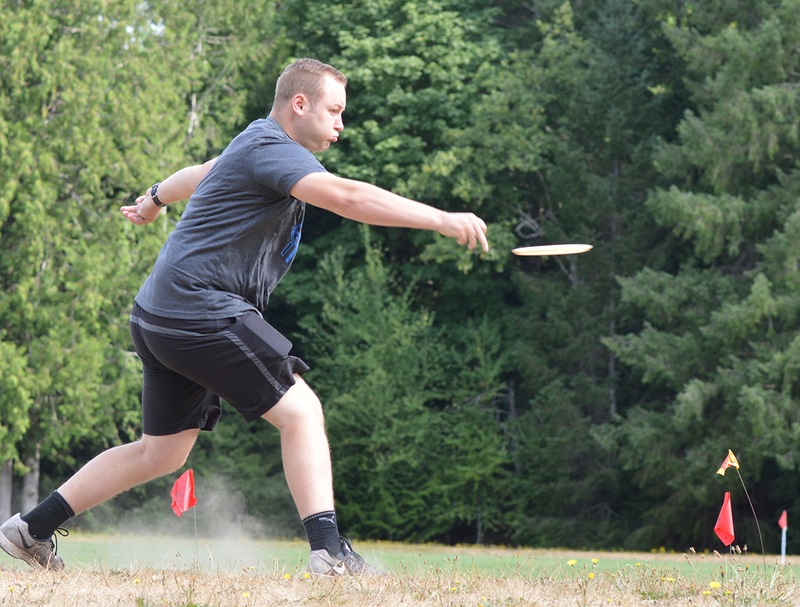 Not at all, considering the South Puget Sound Disc Golf Association features approximately 130 members. The goal of the bag tag challenge is to have tag No. 1 when it’s all said and done. It is a year-long open competition for the members. 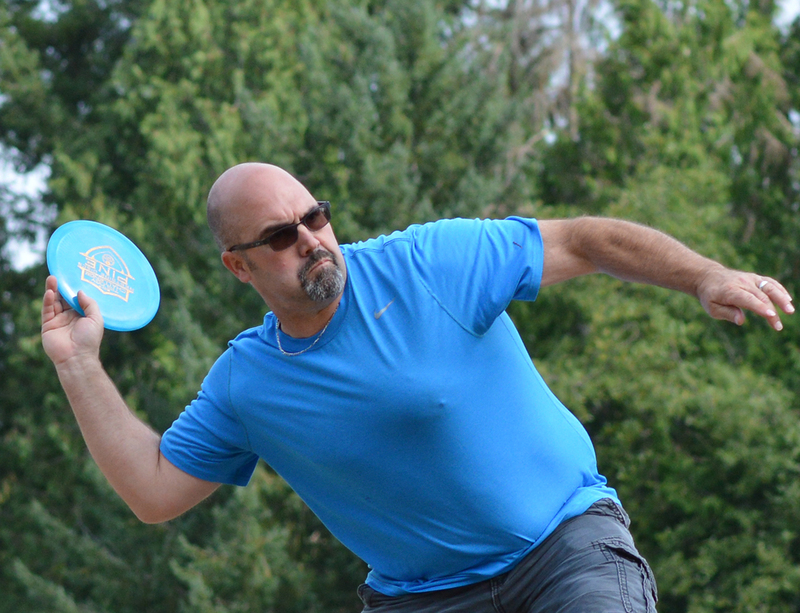 Any member with a lower number can challenge any higher number to a round of disc golf. If the former emerges victorious, the players swap tags. If the higher wins, the tags stay put. “It adds some additional fun to the game,” Hill said about the bag tag challenge. 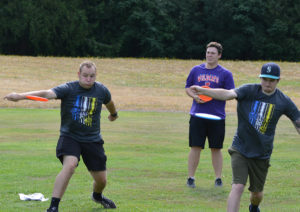 One of the fastest-growing outdoor sports, disc golf is played like traditional golf, only instead of using clubs and balls, players use a flying disc, which they throw from the tees down the fairway. A hole is completed once a player successfully navigates their disc into an elevated metal basket known as a pole hole. Like traditional golf, the goal is to complete each hole with the fewest strokes as possible. Unlike traditional golf, disc golf won’t break your bank. High-quality discs can cost less than $15 and a player can play with just one. Playing fees usually run about $5 per player. Hill knew this was his sport the moment he threw his first disc. While living in Spokane, Hill and his wife picked up two beginner packs at a local disc golf course and dove into their first round. Hill, who works for the Department of Social and Health Services, plays “at least” three nights a week after work. Moving back to his hometown of Olympia after living 17 years in Spokane, Hill quickly became a member of the South Puget Sound Disc Golf Association and stated tackling Thurston County courses. 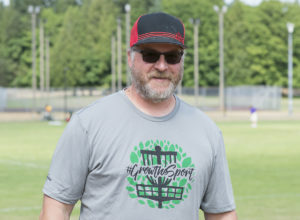 Wearing a shirt that featured a graphic of a metal basket with the words “Grow the sport” across the chest, Hill is doing his part to help get the word out about the locally-based club. 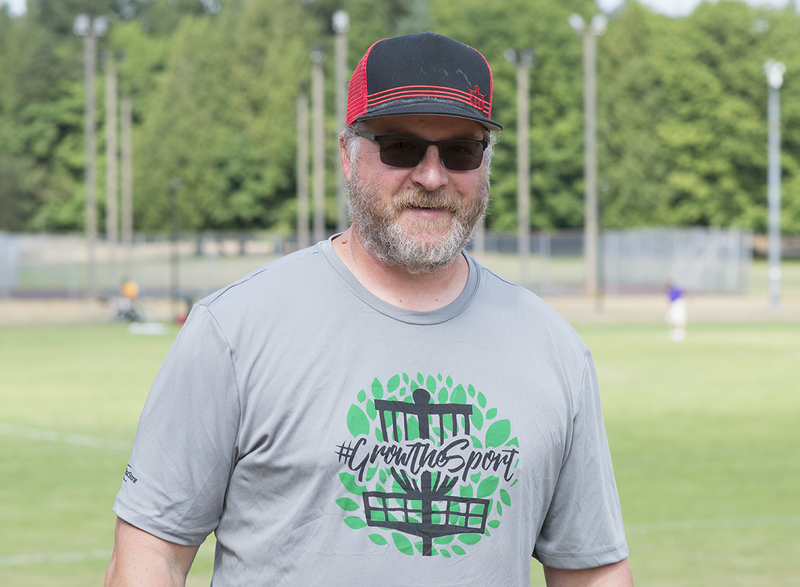 In mid-August, Hill served as director of the Trilogy Challenge at the Evergreen State College – an event designed to introduce the sport to new players as well as serve as a fundraiser for the club. Players came from as far away as Bothell and Vancouver to participate in the event. 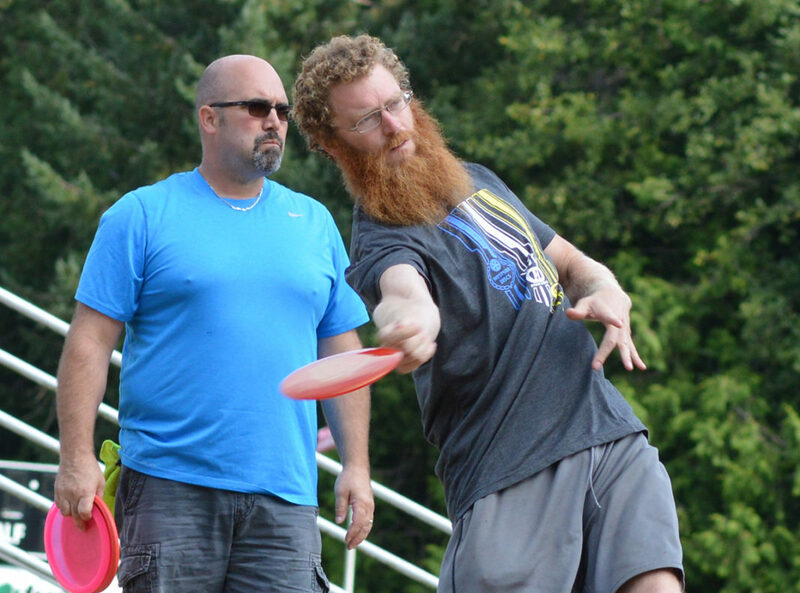 The hope for Hill and the South Puget Sound Disc Golf Association is more people continue to experience events such as the Trilogy Challenge, as well as the numerous random double draws the club offers throughout the year, and become hooked. If you’d like to learn more about disc golf and get your own bag tag, follow the South Puget Sound Disc Golf Association on Facebook or send them a message through their page to learn how you can join. Previous articleYelm FFA Chapter To Be Featured on RFD-TV!